Recently, Mannington Mills hosted its Centennial Gala at The National Constitution Center on December 28, which was the exact date that the company was founded by John Boston Campbell. About 450 family members, close friends, and business partners attended the Gala to honor the legacy started in 1915 in Salem, New Jersey. The company has been family-owned and run for five generations. Click here to see our collection of Mannington hardwood flooring. Click here to see our collection of Mannington laminate flooring. Click here to see our collection of Mannington tile flooring. 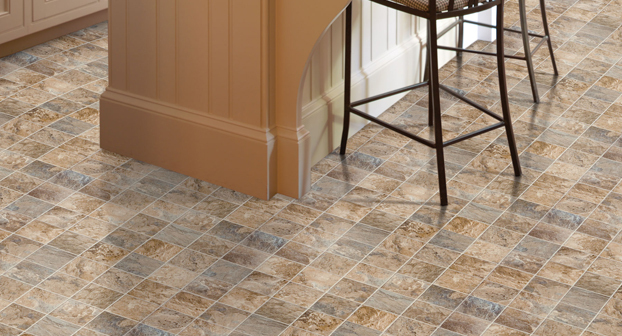 Click here to see our collection of Mannington vinyl flooring. In retail, the shopping experience for the customers is the main concern. Many retail stores have online access to products, so retailers need to make the physical shopping experience more engaging for customers than ever before. The store environment needs to surprise customers with engaging colors, designs, and textures. The right flooring surface needs to be straight-forward to install, durable, and easy to maintain. After you have found flooring that will live in the store for a long time, you need to find something aesthetically pleasing with the rest of the design of the store. Retailer owners should also be looking for something versatile and practical with various design capabilities for their store. 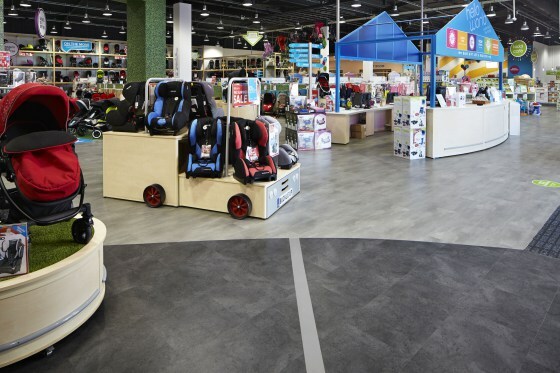 Having a floor that is flexible is an essential component from a design perspective in order to introduce zoning and guide end users around a retail space. A retail store should usually feature sweeping curves, rug effects, and borders. Color and texture are also key components to consider when picking flooring. The right color and design can help maintain the appearance of the floor in a heavy traffic environment by hiding every day dirt and dust. 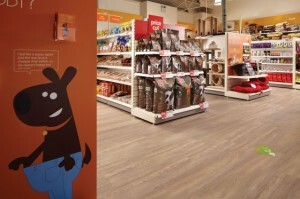 If you have a larger store then you can be more creative with the flooring and how much of an impact it leaves. 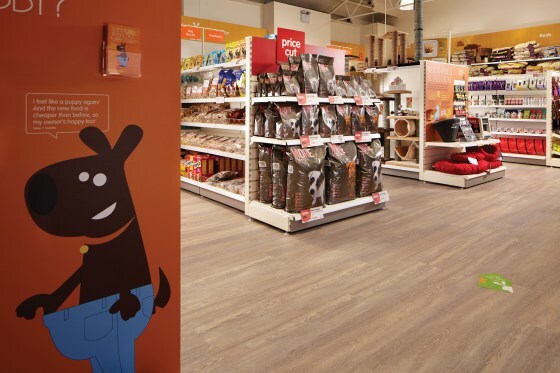 If your store is smaller, then try to pick a floor that would disguise everyday dirt but also have a light enough color that will make the store seem larger. In addition, large planks and large tile patterns are a great choice for large spaces. 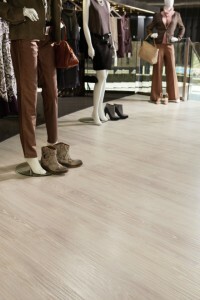 We have many beautiful and unique commercial flooring, which will look great in retail stores. Always remember that a beautiful floor is an essential component and one of the most valuable commercial tools a retailer can invest in. Click here to see our commercial carpet. Click here to see our commercial vinyl. 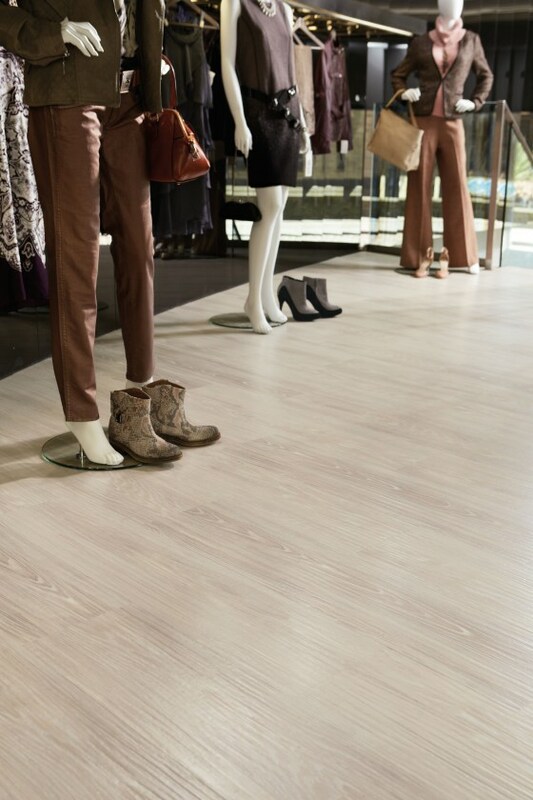 Click here to see our commercial luxury vinyl tile. Mannington Commercial has been honored with 8 ADEX awards by Design Journal because of the company’s demonstration of design leadership. The ADEX Awards for Design Excellence consist of five platinum awards, one gold award, and two silver awards. The awards deal with a range of products, custom programs, and environmentally friendly backing. This year, over 2,800 products were submitted from more than 500 companies. Bouclé – a texture reinterpreted in broadloom and modular carpet, in a modern range of colors. Redefined – Fashion patterns inspired by hounds tooth, tweed, hexagons and more— a texturally rich 18 X 36 carpet tile. rEvolve – a PVC-free, vinyl alternative, high performance modular carpet backing system constructed of thermoplastic polyolefin. Realities – heterogeneous sheet flooring inspired by wood looks, yet engineered for healthcare, education, retail, and government installations. Custom Cutting – the Amtico Collection from Mannington makes it possible to install any design imaginable, drawing from the broadest portfolio of aesthetics in the industry. Thermoset rubber that brings spa-like attention to detail with color, durability, and comfort underfoot. Connected – modular carpet that uses changes in texture and color to cue functionality and attitude in open, adaptive floor plans. Design Woods – inspired by natural woods and brings bold, weighty grains and upscale aesthetics to LVT. Click here to see our collection of Mannington Commercial flooring.